to data matters as much as the analytics i.e. the interpretation and application of the concerned data. The design and execution marketing propositions for the high-end market has characterised Tope’s career, in diverse industries from Banking to Telecoms. Her speciality is the understanding the needs of the highest contributors to the bottom line of a business and meeting those needs. Blessing is a first-class graduate of University of Ibadan with proven track record of superior performance in conceptualizing and implementing data and analytics strategy with ability to derive unusual patterns in data. Mariam leads Data Analytics for Insurance and Banking businesses for Octave Analytics. With experience from Accenture, BAT, Microsoft e.t.c. her roles entails understanding key issues and using data to develop analytical solutions, insight and process improvements for Octave clients from the financial sector. John is the in-house expert in developing digital marketing strategy for online businesses and for businesses online. Using Internet data from DPI(Deep Packet Inspection) of customers online behaviour, John assist our clients in driving the creation of demand for products and satisfying them through innovative ways. 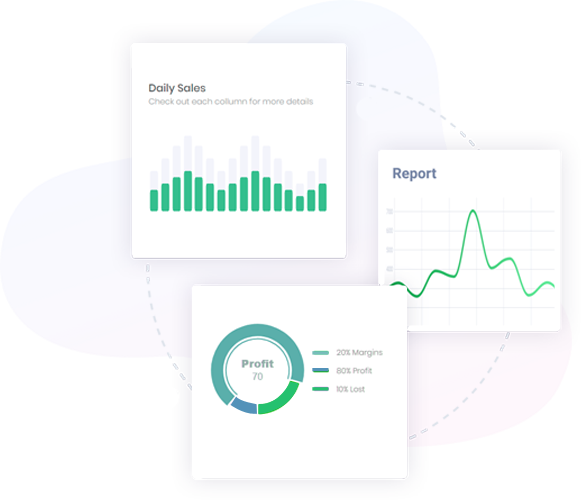 Octave offers Analytics and end-to-end Customer Value Management Process Outsourcing Services, which deals with the application of computing tools, statistics and mathematical models to solve business and industry problem. Fill the form below carefully to signup for our training session. Our team would get back to you as soon as possible to confirm your seat and proceed with payment details. Financial Performance Analytics explores how financial statement data and non-financial metrics can be linked to financial performance. In this course, you’ll learn how data is used to assess what drives financial performance and to forecast future financial scenarios. While many accounting and financial organizations deliver data, Financial performance Analytics deploys that data to deliver insight, and this course will explore the many areas in which financial data provides insight into other business areas including consumer behavior predictions, Sales and marketing strategy, risk management, optimization, and more. Human Resource analytics is a data-driven approach to managing people at work. Business leaders can now make decisions about their people based on deep analysis of data rather than the traditional methods of personal relationships, decision making based on experience, and risk avoidance. In this course, participants will explore the state-of-the-art techniques used to recruit and retain great people, and demonstrate how these techniques are used at cutting-edge companies. This course is designed to impact the way Sales Managers and Salesforce think about transforming data into better decisions. Improvements in data-collecting technologies have changed the way firms make informed and effective business decisions. The course on Sales Analytics, focuses on how sales team use data to profitably match supply with demand in various business settings. In this course, you will learn how to model future demand uncertainties and how to predict sales. This course will provide an information on key areas of customer analytics: descriptive analytics, predictive analytics, prescriptive analytics, and their application to real-world business practices Etisalat, Zenith Bank, Custodian Insurance, Jumia to name a few. Interpret trees and summarize trees as business rules. Linear Regression as a predictive modeling tool. What you learn in this course will give you a strong foundation in all the areas that support analytics and will help you to better position yourself for success within your organization. You’ll develop skills and a perspective that will make you more productive faster and allow you to become a valuable asset to your organization. Explain NN explain the results.